Vagaro.com is a website that allows users to find salons and spa in their local area and make appointment online with them. "Easy to use with loads of options! " My favorite feature of Vagaro is the client-facing online scheduling. It is extremely simple for my clients to use and easy for me to edit if needed. I do wish the reports were a bit more inclusive. Maybe I just haven't found exactly what I needed, but I would love to see more customized reporting. Make sure to do your research! Write out all of your 'must-haves' and your 'nice to have' for your business and see how this software compares to others. I made the mistake of not doing enough research prior to the launch of my company and I have wasted hundreds of dollars in changing platforms, retraining my staff, and just finding the right 'fit'. From someone that has been in the salon/spa industry for over 10 years, this product seems to be the most inclusive I've ever used!! I have melded my marketing, scheduling, POS, and notifications into one software. Prior to this software, I had multiple platforms for each individual aspect of my business. Vagaro seems to have everything I need, for less the price than all of the services individually. What Spa Management solution do you use? "Nice and easy scheduler for our massage therapist"
I enjoy the different colors on this scheduling system. I think that it's pretty easy to see your appointments and to look at your customers. You can jump to certain dates very easily and you can block out days. You can also check who is in today which can be useful for quick information. I really do not enjoy the days at top where it goes +1, so on and so forth. I feel there are many better ways of doing this. They system is slow, and there are some extra features that are not really needed that kind of get in the way. I think if you do have many people on the same scheduling system, this could be very helpful to you. Especially if you want reports and lists right at your fingertips. Since we are online receptionists who schedule for this massage therapist, it is nice to have blocked out times, the different colors for the different therapists/massages, and be able to skip through dates to make sure we minimize errors and have the best and quickest scheduling times. "Gets the job done for a reasonable price"
I like that Vagaro is easy to use on desk top, mobile and tablet. I bounce between all three throughout the day with seamless transition. The fact that it's web based is huge since I can check in from home or while I'm on the go. Automated reminders and confirmations also make my life so much easier! The checkout process can be a bit cumbersome, In a fast-paced environment with check outs in close succession, I could see this being a problem. The biggest annoyance for me here is the requirement to enter what type of credit card the customer used. I know it seems small, but having one more thing you need to specify at check out can be a pain. Also the requirement to say what type of customer it is (returning, new, etc) should be an option, not a requirement. For me, as a one-woman show, it still works for what I need. In a busy salon with multiple service providers all checking out at the same desk, these little things could really slow down the check out process. For the price point, Vagaro really does have a great selection of features and capabilities. Both the business app and the customer app are pretty intuitive and easy to use. Some features (memberships, online sales, etc) are only available through if you sign up for their merchant services, and they charge a monthly fee to sync with Quickbooks. Not deal breakers, but definitely things to take into consideration. Since I'm in business for myself and do not have a front desk staff, Vagaro's automated confirmations and reminders are invaluable to me. I love that I''m able to modify the messages that accompany these automated emails/texts and the frequency in which they are sent. I love how Vagaro is an all in one platform for my salon. It hosts my website, online booking, appointment books, inventory, credit card processing, detailed reports and accounting. I won't budge from using this software. And it's the just affordable I have found. I have referred other stylists and salons to try Vagaro's free month trial, and they have all joined. "Clean, simple scheduling for your salon!" Ease of scheduling a client, and the tag that you can assign that client (like if they’re new, returning, referral, etc). Nothing; it’s the best salon software I’ve used. I have used five other companies, and all of them I had something to gripe about; I’m shocked I don’t have anything negative to say about Vagaro — it’s been a great switch! Do it — you will not regret it! It changed my life when it comes to booking clients and keeping the salon organized. We’ve been solving the issue of time management. Vagaro has such a clean interface, that it makes our lives much easier, and quicker so that we can spend more time behind the chair than in front of the computer. "If only they would add soap notes...and other things...."
I love the ability to customize my service options and have the ability to host an online store. I wish Vagaro had a better time clock, scheduling for non-service providers, SOAP notes, and a better online storefront. If you want a more comprehensive system, look into something like MindBody. I haven't made the switch because it's a ton of work and I keep holding out hope that they will implement the features I need. I am able to access the schedule the 24/7 and I was able to drop one additional service I was paying for (an online store). I have enjoyed having a cloud-based system that is constantly being updated. Not only can you view 9 stylists's schedules at once, keep a full database of clients with advance internal notes on their services and products, and generate reports but you can also manage inventory to the point of automatic purchase orders sent to vendors! Sometimes you can't merge client's profiles so you may not realize there are pertinent notes that could avoid surprises or issues. It provides easy accessibility and and convienence in a catch-all program so you don't need any other platforms. "Vagaro is a great time saver"
"its a ok program with some bugs"
I only use it for appointment scheduling and marketing email . I don't use it as Payment processing. I love that I can manager my client appointments, reward points, email marketing and CC processing all in one! How easy the software is to use on the stylist side, the layout is understandable and attractive. The online version for clients to book is difficult to use. Easy to customize services and schedule. There’s really nothing that I dislike. It’s reliable, customizable. Very reliable software with little down time. Having an online scheduler allows me to be able to spend more time with clients instead of on the phone, playing phone tag, trying to get clients scheduled. I like how easy it is to book appointments from anywhere and that I can check overall sales with ease. Occasionally the app gets a little glitchy and moves a little slower than I’d like. No real problems solved other than being able to book clients. Being able to check sales and set goals is a big benefit though. Customers easily can schedule or request an appointment. It is easy to set up and navigate. Customer management needs some work. I would like to see an option that lets you archive clients. The only option is to delete. 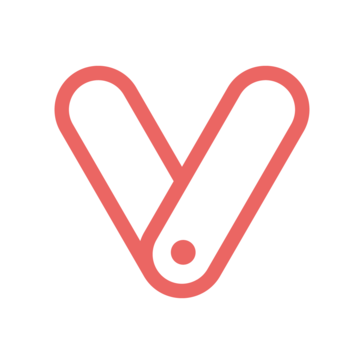 Vagaro is perfect for users wanting to start their business with online scheduling. I am easily able to track clients information, appointment history and formulas as well. "Excellent, easy to use app"
I have to search for a business every time instead of it saving the businesses I frequent regularly. easy to use very and short learning curve. Can book or cancel clients on the go. "One of the best salon softwares available"
I love the easily accessible client list and how easy it is to make double booked appointments. We’re able to better assist customers by being able to double book. * We monitor all Vagaro reviews to prevent fraudulent reviews and keep review quality high. We do not post reviews by company employees or direct competitors. Validated reviews require the user to submit a screenshot of the product containing their user ID, in order to verify a user is an actual user of the product. Hi there! Are you looking to implement a solution like Vagaro?